Fireplace Screen #11 Hand forged, hammered and blackened steel fireplace screen with woven steel mesh. Fireplace Screen #12 A custom corner fireplace screen in wrought iron and steel mesh. Fireplace Screen #2 A custom fireplace doors and screen made of fabricated steel and etched copper panels designed to anchor within a fireplace. 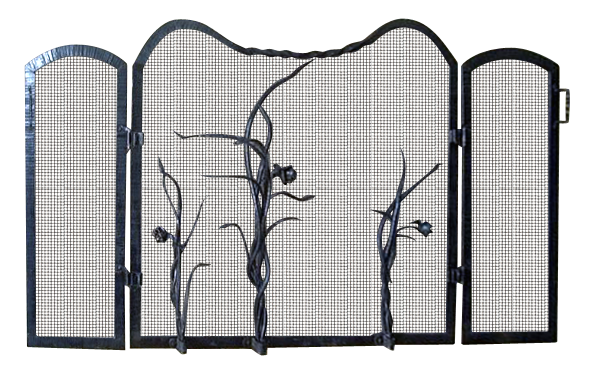 Fireplace Screen #3 This fireplace screen is customized with initials and horses that appear to gallop in the flames.